Pictured from left are Professor Changduk Yang and Professor Hyesung Park. Back row from left are Byongkyu Lee, Sungwoo Jung, Yongjoon Cho, and Dr. Shanshan Chen (in the front row). 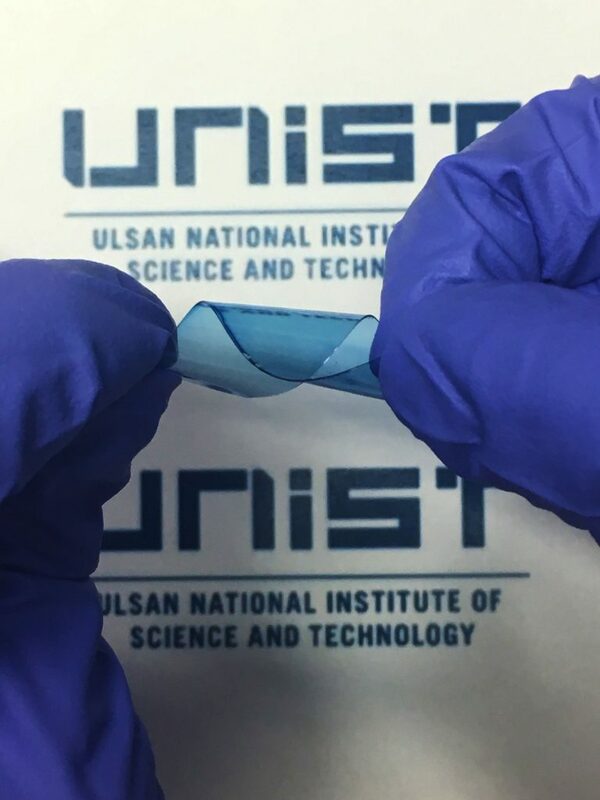 A recent study, affiliated with UNIST has introduced a new type of organic solar cells with high flexibility that can withstand up to 100 continual bending/unbending cycles. This study demonstrates a simple processing route to potentially produce highly efficient stretchable photoactive layers for wearable all‐PSCs. 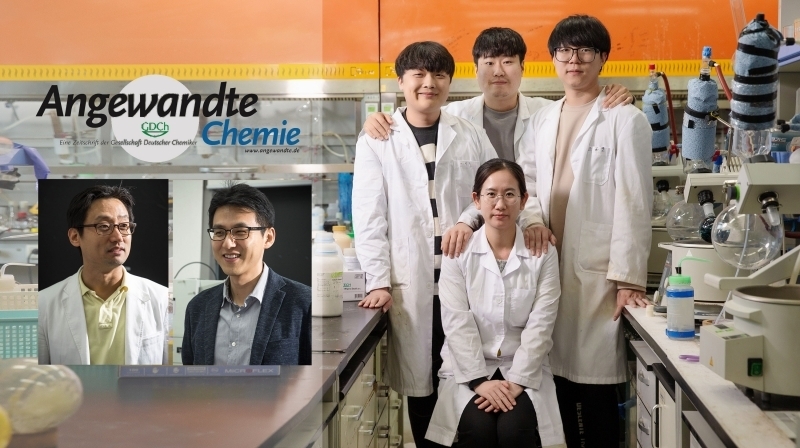 This breakthrough has been led by Professor Changduk Yang in the School of Energy and Chemical Engineering in collaboration with Professor Hyesung Park in the School of Energy and Chemical Engineering at UNIST. 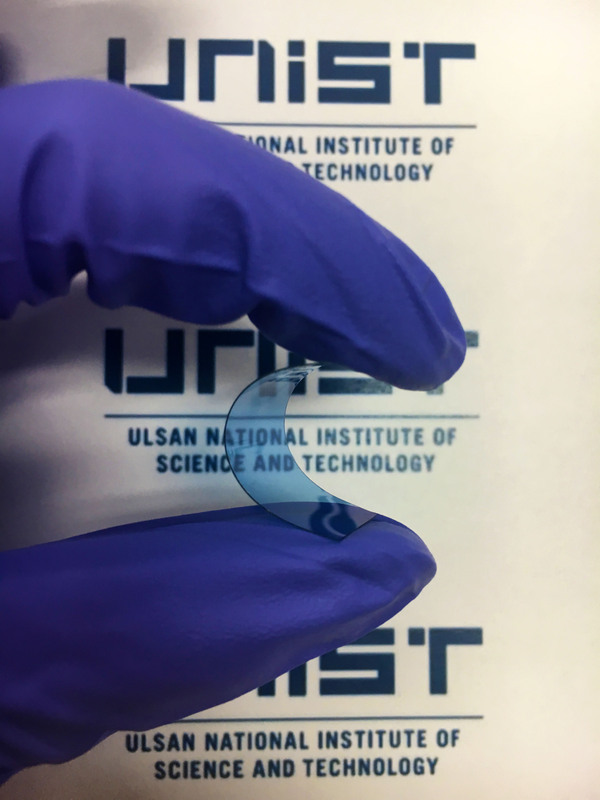 In the study, the research team succeeded in developing highly flexible and efficient organic solar cells, using elastic silicon-based polymers. The team reported that the new all-polymer solar cells (all-PSCs) where all the layers are made from polymers showed promising stability by maintaining more than 90% of their initial performance after 100 bending cycles. Organic solar cells (OSCs) are far less expensive and easier to manufacture than the current generation of silicon-based solar cells. In particular, they have attracted considerable attention in recent years due to their promising applications in flexible displays and portable electronic devices, thus have been regarded as the next-generation solar cell candidate. Research efforts directed to improving the power conversion efficiencies of OSCs has driven it to above 10%, thus reaching a viable level for commercialization. Diagram of the conventional all‐PSCs with the configuration of substrate ITO or graphene/active layer. 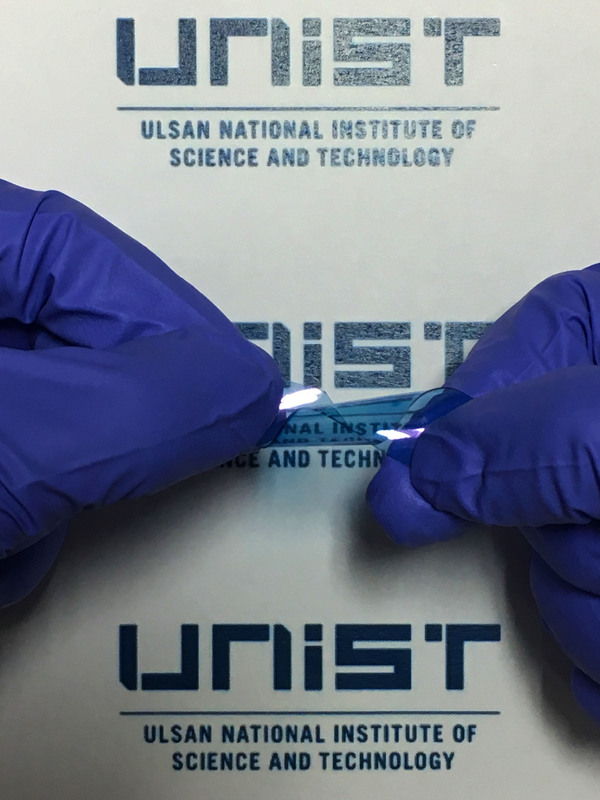 Conventional OSCs are less desirable for emerging flexible applications since the brittleness of the photoactive layer and indium tin oxide (ITO) thin films have a tendency to crack and fail under bending and flexing. In extreme cases, severe bending may also result in reduced performance and cell damage. 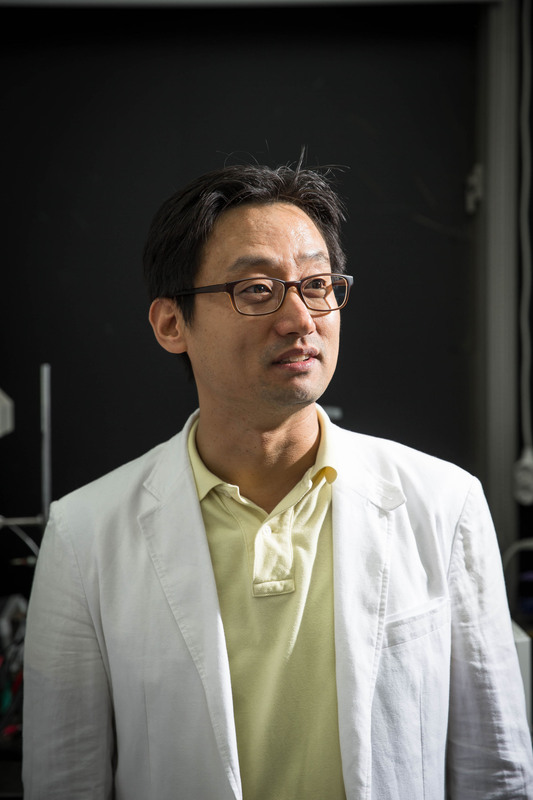 In this work, Professor Yang and his research team have found out a new technique that could significantly enhance the flexibility of OSCs. The team used a processing polymer additive with high viscosity to improve stretchability in the photoactive layers and also replaced the ITO films with other flexible materials, thus enabled high‐performance all‐PSCs with mechanical durability. In the study, researchers developed a high‐viscosity hydrophobic PDPS that has an approximately fourfold enhancement in viscosity by grafting reaction of styrene to the PDMS backbone and have applied it as a processing additive to the TQ‐F:N2200‐based all‐PSCs. Their new OSCs with high‐viscosity processing polymer additive not only exhibited a high PCE of 5.60 %, but also maintained 90 % of the initial PCE after 100 bending cycles with a bending radius of 3.0 mm. In addition, through analysis of photoelectric conversion performance and mechanical stability, the researchers found out that the additive is properly mixed with the conventional photoactive layer material, maintaining the efficiency and increasing the stretchability. 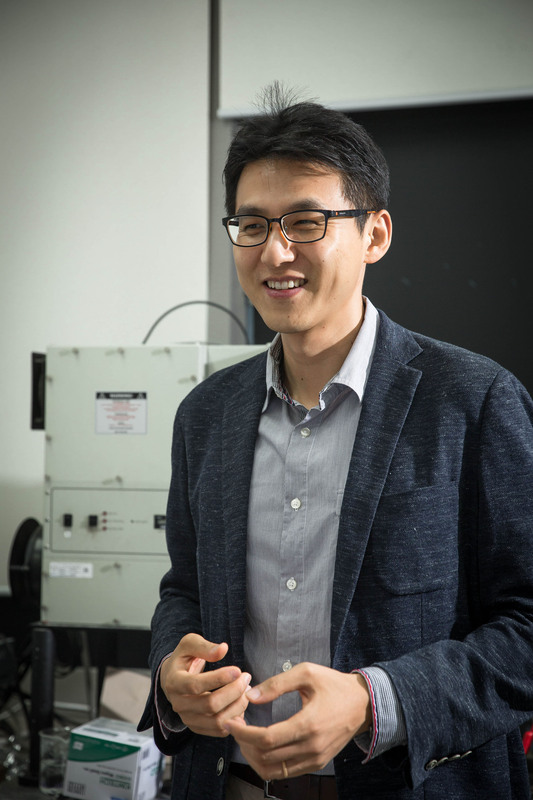 “Our results provide a feasible route for producing high‐performance ductile all‐PSCs, which can potentially be used to realize stretchable all‐PSCs as a linchpin of next‐generation electronics,” says Professor Yang who supervised the entire research. The findings of this study have been published in the October issue of Angewandte Chemie. 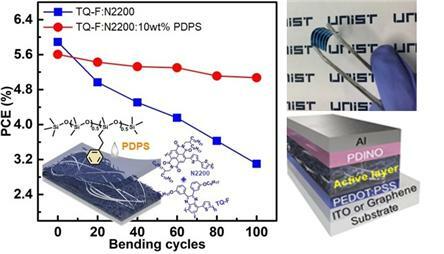 Shanshan Chen et al., “Highly Flexible and Efficient All‐Polymer Solar Cells with High‐Viscosity Processing Polymer Additive toward Potential of Stretchable Devices,” Angewandte Chemie, (2018).